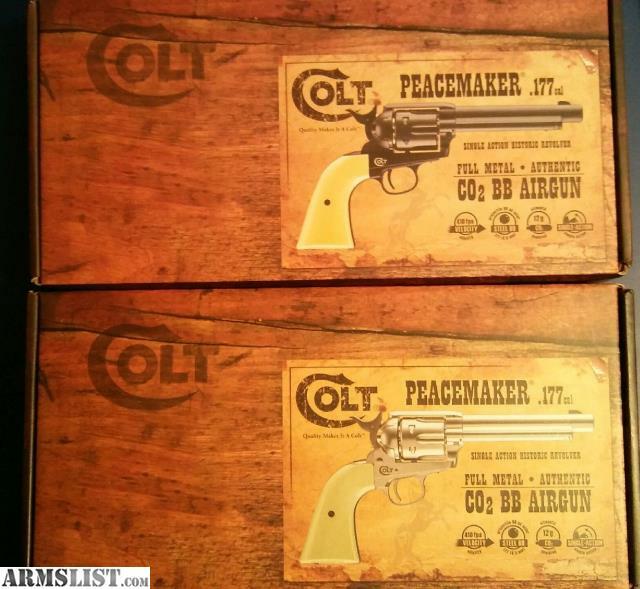 Colt Licensed Umarex Peacemaker .177 Caliber CO2 410 FPS Steel BB air guns. 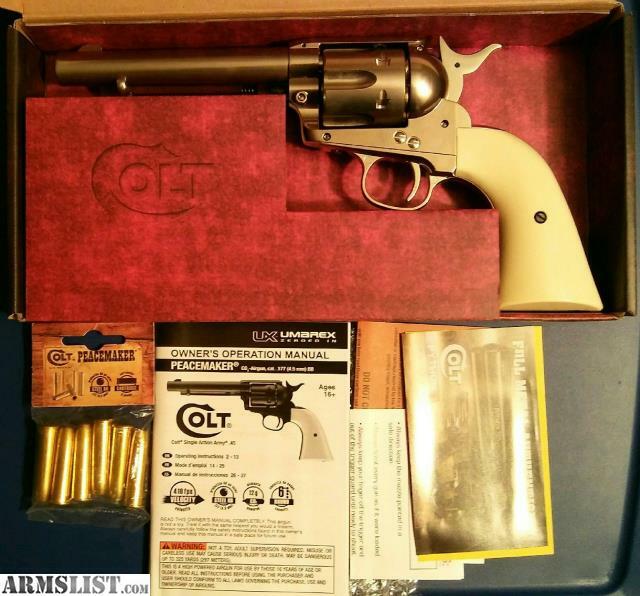 Single Action Revolvers. 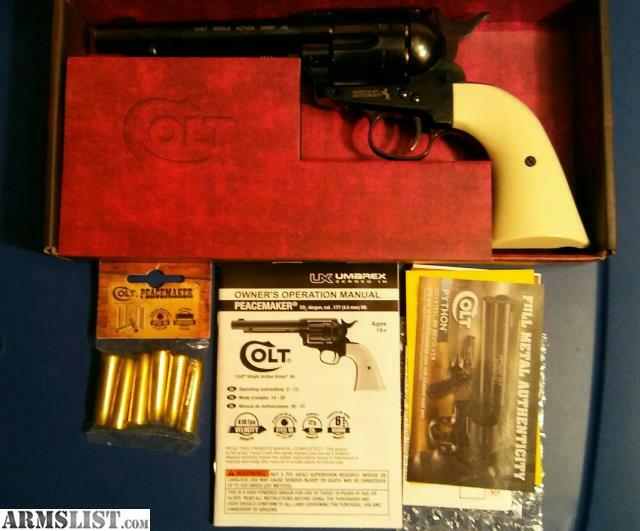 So close to the real Colt Army that Colt allowed it's name and logo to be used. NEVER FIRED - New in Box, Includes ALL paperwork. Each comes with a pack of 6 shells PLUS an EXTRA UNOPENED PACK ($10-$15 value) so each pistol comes with 12 shells.